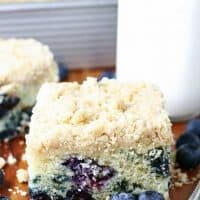 BLUEBERRY CRUMB CAKE — This fresh blueberry studded cake with a crumb topping has just the right amount of sweetness. It’s great for dessert, breakfast, or brunch! 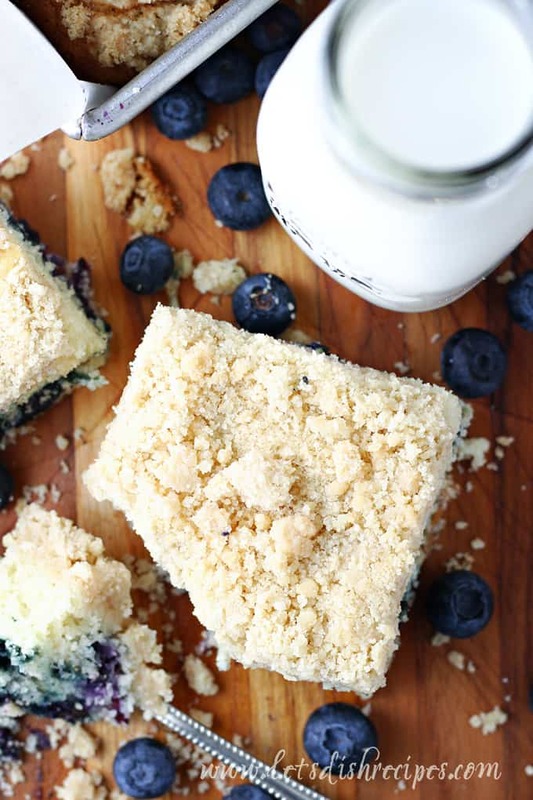 This Blueberry Crumb Cake is unbelievably good, considering the simple ingredient list. There’s nothing I love more than a five star recipe made with simple, accessible ingredients. The cake itself is not too sweet and has a fabulous texture. And I’ve never met a crumb topping I didn’t like. Seriously, is there such a thing as too much crumb topping? This blueberry cake is wonderful for breakfast or brunch, but it also makes a nice dessert, served warm with a scoop of vanilla ice cream. It’s a lot like a coffee cake, which I would gladly eat any time of day. Plus, my kids think I’m awesome when I tell them they can eat cake for breakfast. Mom of the year right here! You can substitute different berries, or even a mix of berries. And yes, frozen blueberries will work too. Sliced apples are yummy too! This cake is an easy, tasty way to use up berries that are nearing the end of their lifespan. Just don’t skip the step of tossing your fruit with some flour. It helps keep it all from sinking to the bottom of the cake. This is one of those tried and true recipes that never lets me down. I’ve been making it for years, and imagine I’ll be making it for years to come. 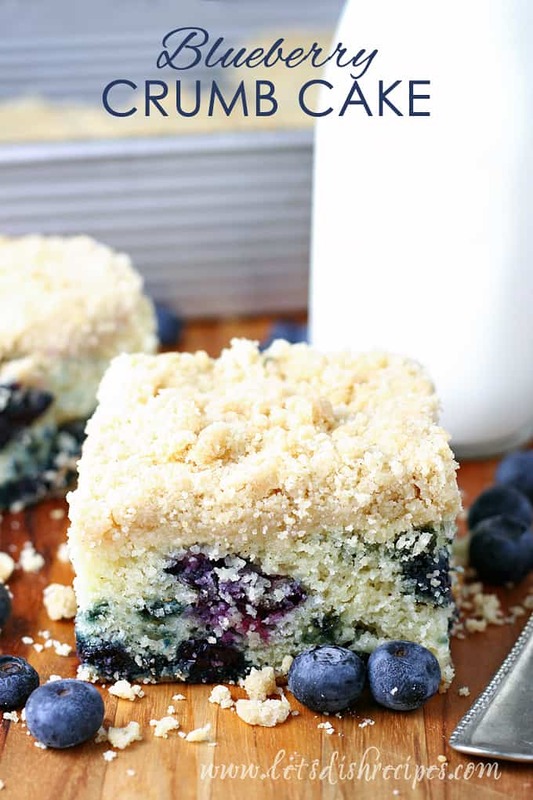 Be sure to save this Blueberry Crumb Cake recipe to your favorite Pinterest board for later. 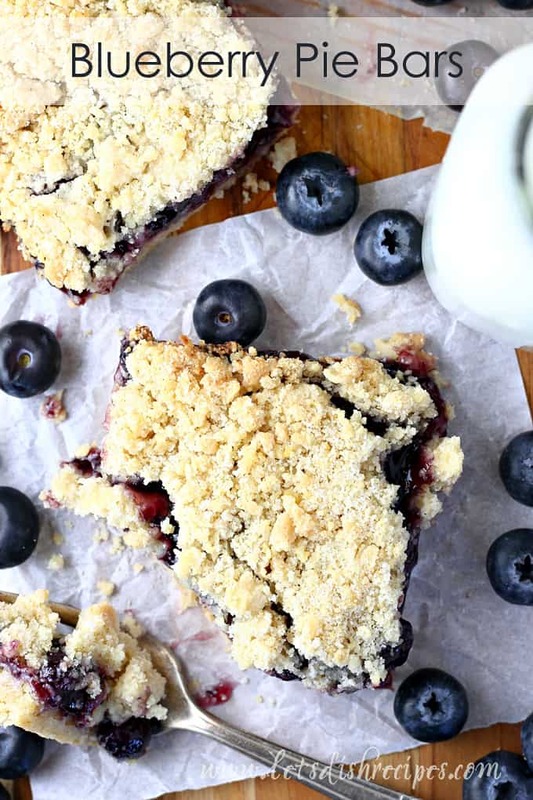 This fresh blueberry studded cake with a crumb topping has just the right amount of sweetness. 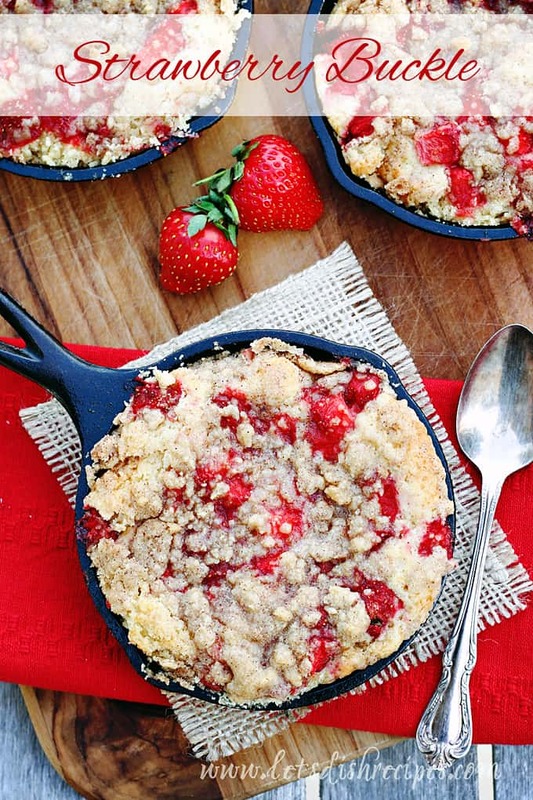 It's great for dessert, breakfast, or brunch! Make streusel topping: In a medium bowl, stir together flour, brown sugar, and salt. Cut in the butter using your hands or a pastry blender until large, moist crumbs form. Chill until needed. Coat a 9-inch square baking pan with non-stick cooking spray. In a medium bowl, whisk together 1 1/2 cups flour, baking powder, baking soda, salt, and allspice. In a large bowl, beat the butter and granulated sugar with an electric mixer until fluffy. Add the egg and beat well. Add flour mixture and buttermilk alternately until just combined, starting and ending with the flour. The batter will be very stiff. 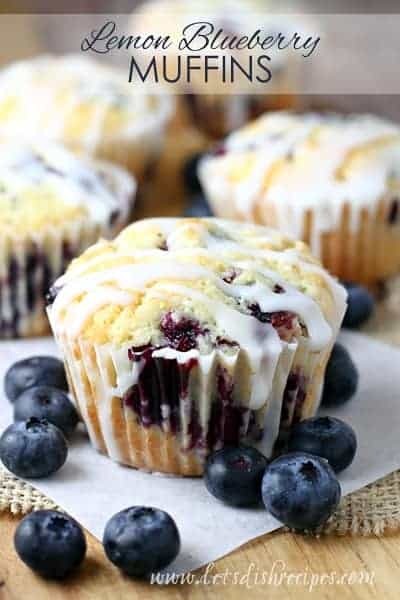 In a large bowl, toss the blueberries with remaining teaspoon of flour. Fold blueberries into the batter; spread into prepared pan. Sprinkle cake with streusel topping. Cool completely, then dust with powdered sugar, if desired. Who Dished It Up First: This is another recipe I found in Martha Stewart’s Everyday Food: Great Food Fast cookbook. I have just discovered your blog and love the recipes that you’re posting here. I’ve really gotten into a rut with cooking – maybe because of the time factor – but from what I’ve seen so far – I think that I would make each and every one of them. That is one good looking Blueberry Crumb Cake. Great photo. Your photo looks really great!! It makes the crumb cake look really good!! Made this over the weekend. I thought this cake was fantastic! Only changes I made: used a 12-oz bag of Trader Joe’s frozen wild blueberries that HAD to get out of my freezer (measured 2 cups of berries). Used 1 C of buttermilk, by accident; didn’t seem to harm anything. Next time I make it, I will decrease the butter in the topping — I can’t believe I’m going to say this, but it was too buttery. I think 5 T would be spot-on. Thanks so much for posting this! I’ve made this…it’s delicious. love your photos! oh so delicious looking! I love blueberries and don’t even get me started on crumb cake. Two great tastes!!! YUM YUM YUM, wish I had some right now! Can one substitute any other pan? I don’t have a 9-in square, but I have several others. Thanks! Just finished making this. Very delist.. Seemed like it took a long time for it to get done in the center so Be Patient. I used frozen blueberries and worked fine.